In 1909, on the Lower East Side of New York, thousands of immigrant women—many only teenagers—toiled at shirtwaist factories. For up to twelve hours a day, seven days a week, they hunched over sewing machines, making women’s blouses. 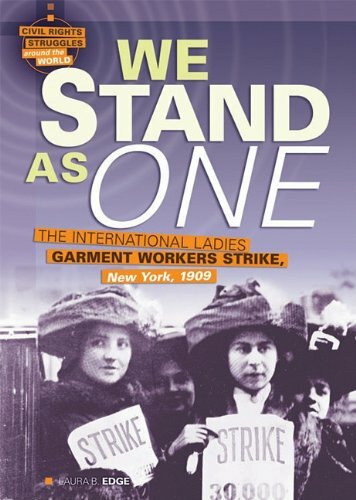 But on November 23, 1909, twenty thousand shirtwaist workers from five hundred factories walked off the job. Learn the story of their grit and determination as they fought for fair wages and decent working conditions. Winner of Children’s Book Committee at Bank Street College Best Children’s Book of the Year and Pennsylvania School Librarians Association Young Adult Top Forty awards.